As part of the merger with Dalhousie University was the provision for a Faculty of Agriculture Advisory Council. This Council would serve to provide advice to the Campus Principal/Dean on strategy, priorities and responsiveness to the region in relation to the Faculty’s academic programs, applied research and service. The Advisory Council, with members representing the Maritime Provinces, will act as advisors, advocates and ambassadors in the support, advancement and implementation of the Faculty’s vision for academic programs, research and service. Members are appointed by the President of Dalhousie University upon the recommendation of the Campus Principal/Dean. One member of the Council will be a representative of the Government of Nova Scotia’s Department of Agriculture as recommended by the Deputy Minister of Agriculture and at least one member of the Council will be an alumnus of the NSAC or Faculty of Agriculture. John Jamieson, P.Ag. from Bonshaw, Prince Edward Island is the Executive Director of the PEI Federation of Agriculture and is responsible for directing Federation activities on a diverse range of agriculture industry priorities including policy implementation, government relations, regulatory matters, environment and safety nets. Mr. Jamieson also represents the PEIFA on a number of provincial and national agriculture committees. Mr. Jamieson, a Professional Agrologist, has worked in the agriculture industry for a number of years and has a wide variety of experience. He has worked with the Federation of Agriculture since 2004. Prior to that Mr. Jamieson worked with the PEI Hog Marketing Board and with the Atlantic Swine Research Partnership. Mr. Jamieson is also very involved in community activities. He is the Past-Chair of the PEI Agriculture Awareness Committee, Past-Chair of the Bonshaw Community Council, Past-President of the PEI Wildlife Federation and President-Elect of the PEI Institute of Agrologists. 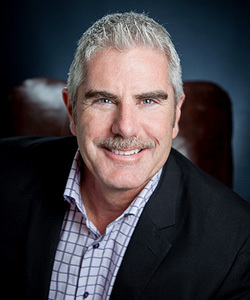 In his spare time, John is an avid cyclist, fly fisherman and outdoorsman. With that seed planted years ago, an idea bloomed in her beloved inner-city community where she saw so much beauty, brilliance, compassion, courage and resilience. Her goal was simply to reflect back to the youth and community members of all ages their own brilliance and potential in together creating community food security and a social enterprise for sustainability. The result was “Hope Blooms” – a sustainable micro-economy that is youth-led and involves growing local food systems and fostering an environment where youth are active agents of change in their own lives and in the lives of others in their community. Jessie believes hope always blooms in environments of friendship, collaboration, inclusion, empowerment, imagination and hard work, no matter how small the act; and that while it “takes a village to raise a child”, it also takes children to raise a healthy village. Jean-Paul Deveau is the President of Acadian Seaplants Limited a world-class biotech company specializing in cultivating and processing seaweed into technical products for global food, health & beauty, animal feed and agricultural markets. 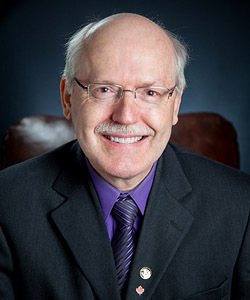 Jean-Paul Deveau currently serves on the Board of Directors of the Canadian Manufacturers & Exporters (NS Chapter); Nova Scotia Premier’s Council on the Economy; BioNova (the Nova Scotia Biotechnology & Life Sciences Industry Association) and is a member of Council of the International Seaweed Association. He was also the Chair of the 2011 Canada Winter Games and is a Honourary Associate of the former Nova Scotia Agricultural College. 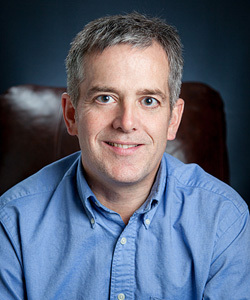 Jean-Paul Deveau was awarded the Ernst and Young Entrepreneur of the Year Awards National Citation for Eco and Social Excellence and the Atlantic Region 2011 Entrepreneur of The Year Award in the Health Sciences Sector. Jean-Paul Deveau was awarded the inaugural Spirit of Halifax Award from Destination Halifax and was named the Halifax Chamber of Commerce Business Person of the Year in 2012. His company has been one of Canada’s Best Managed Companies for 11 years. Arnold Rovers had a distinguished 30 year career with the Nova Scotia government. Key roles were as CEO of the Nova Scotia Farm Loan Board, as Deputy Minister of Agriculture and as the first Deputy Minister of a new Department of Business and Consumer Services (now Service Nova Scotia) designed to integrate a range of government activities from seven Departments into a new service-based organization. Mr. Rovers left Government to become the CEO of a start-up company, EMC Emergency Medical Care Inc. EMC has become one of the best performing ambulance services in North America and was the first Canadian ambulance service to be accredited as a Centre of Excellence by an international accreditation organization. After retiring from EMC, he formed Rovers Consulting. A major project was the development of Ambulance New Brunswick, a similar organization as EMC. He also served as interim CEO for Ambulance New Brunswick. Arnold served on the Board and the Executive of Pier 21 from 1995 to its transfer to the Federal Government as Canada’s Immigration Museum in 2011. Arnold was a member of the Transition Board of Governors of the former Nova Scotia Agricultural College. Honors include election to the Honor Society of Agriculture, to the Honor Society of Phi Kappa Phi, as a Distinguished Agrologist by his professional association and as a Distinguished Alumnus by the Agricultural College. 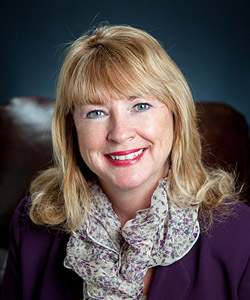 Dianne’s work in economic development spans 20 years and several countries. She has worked extensively in Atlantic Canada and has been the lead advisor on assignments across Canada, the New England States and as far afield as India. She is a published author and well known speaker on economic development issues. In 2010 Dianne was named one of Canada’s 8 Women of Influence – the only Atlantic Canadian to receive this recognition and in 2000, 2009 & 2011 Dianne was named one of Atlantic Canada’s Top 50 CEOs. Dianne is an entrepreneur by nature, having owned and operated three businesses and is an investor in several others. She is the President of Atlantic Economics, a firm that specializes in economic analysis and development, related public policy and alternative finance. Dianne has served as the CEO of the Nova Scotia Co-operative Council for 15 years and since that time has been instrumental in the development of some new and innovative economic tools and business support and financing programs across Atlantic Canada. She has done extensive work in the co-operative and credit union sector and is the co-author and initiator of a $60 million small business financing program now available in rural communities across Nova Scotia. Laurie is the Vice President of Masstown Market Limited in Masstown, Nova Scotia. He grew up on the family farm and from an early age was involved in planting, harvesting and retailing. Laurie graduated from Dalhousie University in 1987 with a BSc in Biology and married Lisa two years later and they now have three sons. Laurie is an icon in the local food movement and has been committed to supporting local business and local producers for many years. He is very active in the community and in business. He is Past President Colchester Credit Union, Progressive Association of Retailers, Truro and District Chamber of Commerce, Nova Scotia Chamber of Commerce, Atlantic Provinces Chamber of Commerce and Colchester Regional Development Association. Laurie is a former Board member of the Nova Scotia Association of Regional Development Authorities and the Canadian Chamber of Commerce, and he also sat on the Ministers advisory committee for Select Nova Scotia, and the Premiers Award of Excellence. He is a current Board member Nova Scotia Provincial Exhibition Commission and the Canadian Federation of Independent Grocers. 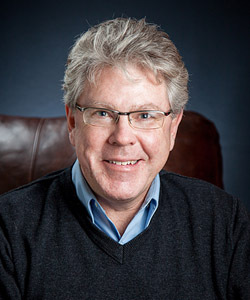 Jim is past president and CEO of Scotsburn Co-operative Services and an Economics graduate of Dalhousie University. After working for Texaco Canada Ltd. following university, Jim joined Scotsburn Co-op in December of 1964 as Sales Manager. He was named General Manager in 1969, President & CEO in January 1972 and retired in April 2004. Jim has been active on many community organizations including past president of the Chamber of Commerce, Pictou Regional Development Corporation and Pictou County YMCA. He served on the Board of Directors of the Co-op Foundation and Chair of the Aberdeen Hospital. 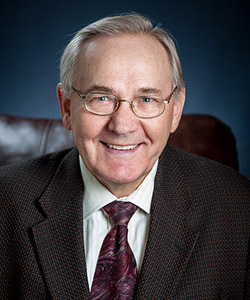 Jim received a Lifetime Achievement Award from the Chamber of Commerce and was inducted into the Nova Scotia Business Hall of Fame in 1995. Jim is currently Director of the Nova Scotia International Tattoo and sits as a member of the NS Business Hall of Fame, Pictou Academy Foundation, Aberdeen Hospital, Sobey Art Foundation to name just a few. Jim lives in New Glasgow, NS with his wife Dorothy and together they have four children and 11 grandchildren. Angus Ells is a member of the NSAC Class of 1985 which was the first B.Sc. (Agr) class that completed their full degree program at NSAC; graduating with a plant science major. Angus grew up on a mixed livestock and crop farm in the Annapolis Valley and has been involved in farm management and consulting agronomy for the past three decades. He is currently the manager of carrot operations for Bragg Lumber Company – the Canadian farming division of the Oxford Food Group. Angus has been involved in several agricultural organizations and community groups. He is currently a director of the Annapolis Valley Farmland Trust. Angus resides in Sheffield Mills, Kings County, N.S. with his wife Nova Keddy. Brian DuPlessis is a graduate in the degree program of the former NSAC and the University of Guelph. In 2013, he retired from a distinguished career of over 40 years with the New Brunswick Department of Agriculture, Aquaculture and Fisheries; the last 23 years in senior management at the Director/Manager level. For over 30 years, he represented New Brunswick in various Agricultural commodities at both Provincial and National levels. His career also took him on exploratory missions to Vietnam, China and New Zealand. Brian and his wife Suzanne live in Woodstock, New Brunswick and in retirement, he keeps active with family and volunteering for various church and community organizations as well as working part-time as the Manager of the New Brunswick Potato Shippers’ Association. They have three adult children (a son and two daughters), as well as five grandchildren.